This handsomely-cast arbor press takes the effort out of stamping, seating and removing bearings and other operations that require simple, well-controlled mechanical pressure. Easy-to-use bench mount design. We offer you our sturdy ``rack and pinion`` Arbor Presses. Most Machines Can Be Demonstrated Under Power at 8 Capital Drive Dandenong, Vic. 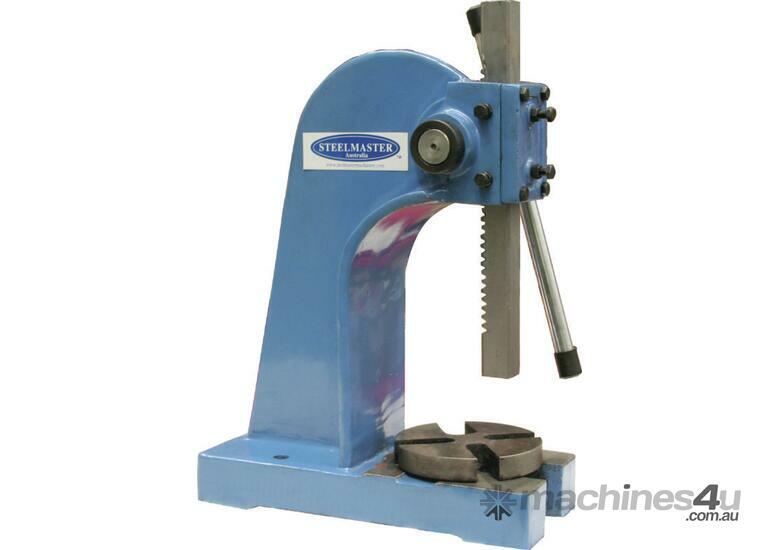 Steelmaster Hydraulic Workshop Press Machine . When looking for a quality Hydraulic Workshop Press , look no further than Steelmaster Industrial. 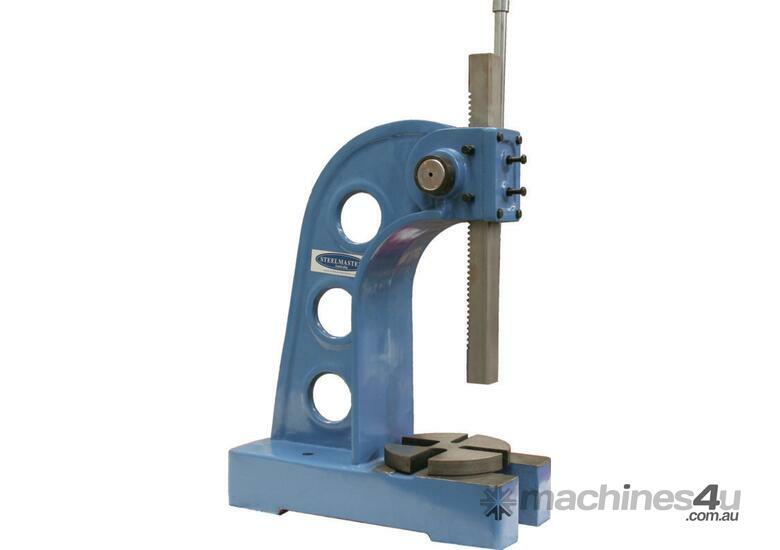 Steelmaster Industrial’s Hydraulic Workshop Press offers the Engineer a very high quality machine with superb features and tight tolerances at reasonable prices. Steelmaster carries over 12 models of Hydraulic Workshop Presses in stock at all times for quick shipments. Steelmaster Industrial’s ever growing line of Hydraulic Workshop Presses consists of manual & motorized. Depending on your needs we have the model for you, starting with our cost effective manual machine to our large motorized models. We can also offer customer built models to suit. Call us with your application. Our Manually Operated SM-HPG50 Hydraulic Workshop Press gives the best “bang for the buck” of any of the Steelmaster Hydraulic Presses. This model comes standard in a 50Ton capacity with a 2 stage hydraulic pump for fast and slow operation – Strong steel fabricated frame will offer you years of pressing! 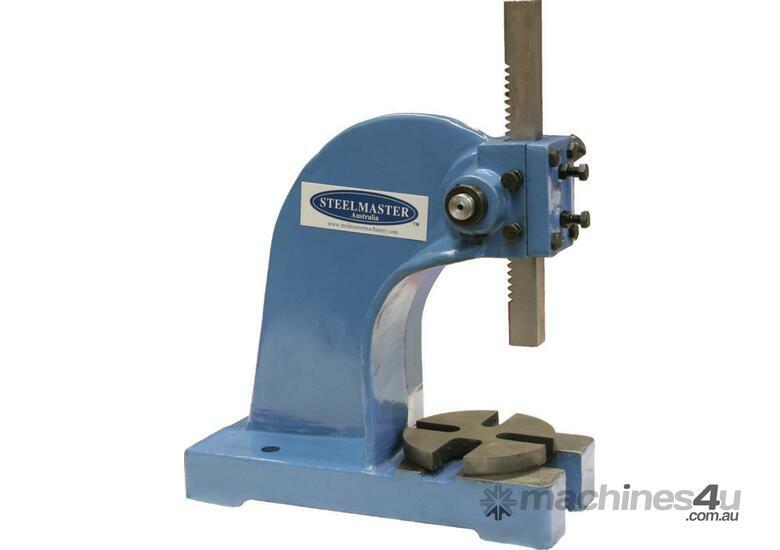 Steelmaster Industrial offers one of the best selections of Motorized Fixed Head Hydraulic Workshop Presses around. From our SM-MDY50 – 50Ton up to SM-MDY600 – 600Ton Capacity. Our Motorized Fixed Head Hydraulic Workshop Presses have been fitted up to offer you the best selection of features including vee blocks, adjustable hydraulic pressure gauge, adjustable tables and come standard with safety e stops to ensure all round safe operation. Our new Motorized Sliding Head Hydraulic Workshop Press offers the operator full flexibility in your pressing application. Simply unlock the clamps and position the hydraulic cylinder left or right of the centre. From our SM-MDY50SH – 50Ton up to SM-MDY600SH – 600Ton Capacity. The 110Ton and above models are fitted with a rack and pinion sliding system and a hand wheel, where the 90Ton and below have a simple unlock and slide system. Our Motorized Sliding Head Hydraulic Workshop Presses have been fitted up to offer you the best selection of features including vee blocks, adjustable hydraulic pressure gauge, adjustable tables and come standard with safety e stops to ensure all round safe operation.